at 11 o'clock, is a grand design spiral galaxy designated as a type SA(rs)bc. Located 54,000.000 light-years away from Earth, it was discovered by the great William Herschel in 1786. The small edge-on to its upper-left is NGC 5360. The large and bright elliptical galaxy directly below it, NGC 5363 is gravitationally bound to NGC 5364. To the lower-left of NGC 5363 is edge-on NGC 5356. 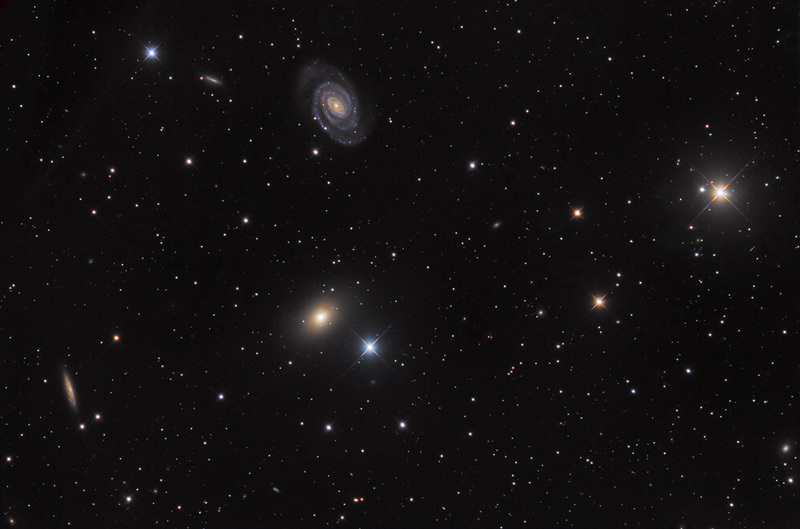 Several other small galaxies populate the field.